Lead your corporate empire on Mars! Build up your base, train your units and command them in action packed battles. Prospect and mine the rare resource Millennium and ship the highest amount possible to the Mars Trade Federation. - Rule the Mars Trade Federation as CEO and get unique rewards. 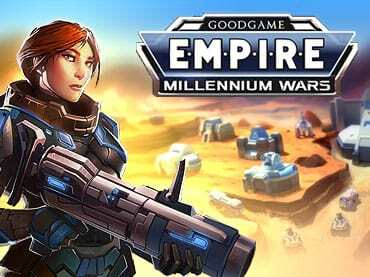 If you have questions about Empire: Millennium Wars game, please contact us using this form.